Do you have high hopes? Are you working to get where you want to be by sitting around on the couch? Do people tell you that your dreams are just illusions? Are you greedy but not willing to work for what you most desire? Do you have a plan to get rich quick? Are you tempted to have an affair? Did you cheat on a diet or exercise plan and stick to the script that obesity is just in your genes? The 7 of Cups is a card that appears in Tarot readings when what you desire has no relationship to your ability to actually get it, or when temptation offers temporary pleasures that could bring permanent damage. A silhouetted figure stands at the foreground of the card looking deep into it. Under a blue sky a swirling cloud has rolled in and on it rests seven cups. Each cup is full with a different illusion. There is a castle, jewelry, a victor’s laurel wreath crown, a woman, a glowing body rising as if from the dead, a snake and a dragon. 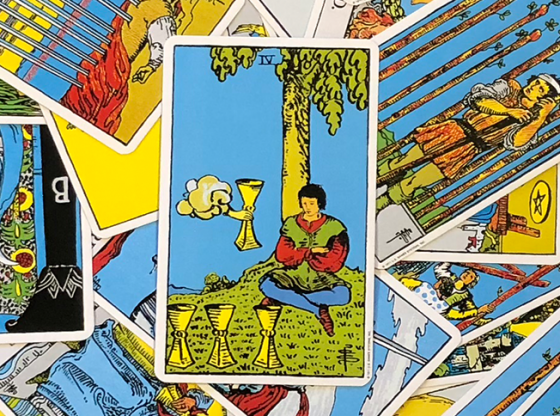 Many different variations on the contents of these cups exist in the myriad Tarot decks available to your card reader, although these are the most common and recurring ones to appear. 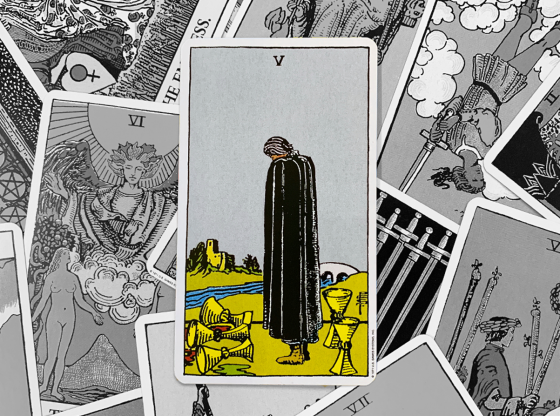 In the Tarot, the suit of cups represents emotions. The contents of the cups here represent temptation. Are you after the material gains represented by the castle, the beauty represented by the jewelry or the power of life and death itself, as represented by the raised body? Do you lust deeply as represented by the woman or do you seek the glory only a laurel wreath can indicate? The power of The Magician is indicated by the presence of a small dragon, known as a magician’s familiar – these creatures will do your bidding, but at what cost? Finally, the snake straight out of the Garden of Eden is not pandering the fruit of the Tree of Knowledge now – do you seek that wicked power he represents? This card is unique in the Tarot deck for the shadowed figure standing in front of the cups – he or she is almost rendered in flat 2-D to underscore that you, the person receiving the Tarot reading is being presented with temptations that are ultimately hollow. The only question remaining, though, is whether or not you find them irresistible. 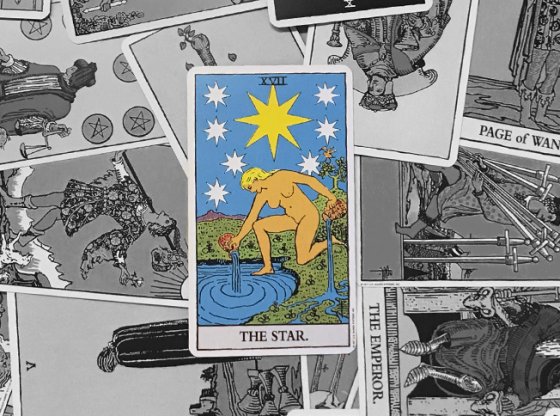 When a Tarot reading commences, the cards are all placed in specific areas based on when they are pulled from the deck. These positions represent your past, your present and your future. 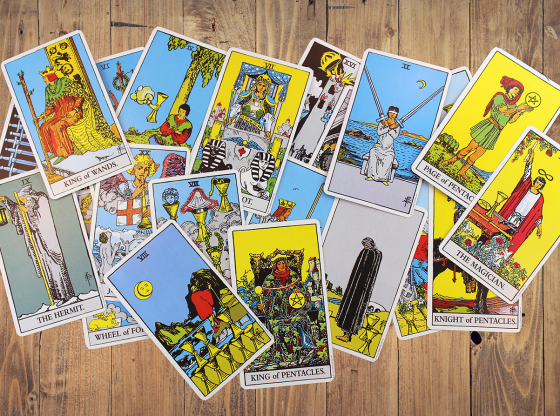 A card’s meaning changes based on its location in a reading. 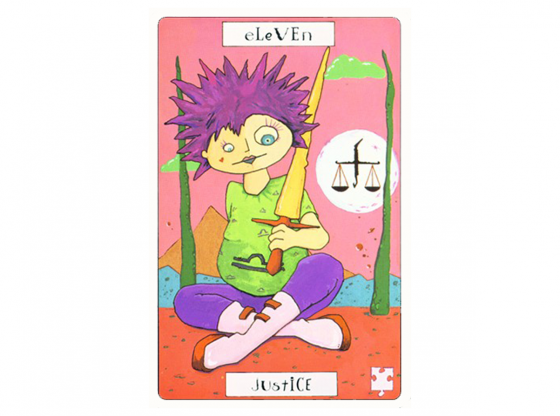 When the Seven of Cups is in the past position, your pursuits of pleasure have led to where you are today. This could be a nice place of having been satisfied, but it is usually an indicator that you are not where you should be in life and that you have nobody to blame but yourself. When you emphasize a life of pleasure-seeking, at the core, you are pursuing a life of selfishness. Where this has lead you only you can see, but a past based on narcissistic pursuits does not often lead to a solid present or future without much support from other areas of your life. In the present position, this card indicates that you are being sidetracked by desire instead of staying the course in a healthy relationship or steady project. Many people drop out of school when they are tempted by the easy path of partying and a steady meager paycheck. Lots of women are drawn to prove that they can seduce a man whether or not he is married and without consideration to the damage they are doing to themselves and others. What looks fun and tempting is almost never as enjoyable and yet the cost is often higher in personal suffering than we ever imagined. In the future position, this card is actually not menacing at all. The temptations that are so present in it are far off dreams. They may even be motivators of something good coming your way somewhere on down the road. The strength of this card in this position is that you are tempted to continue on a current path out of self-interest. 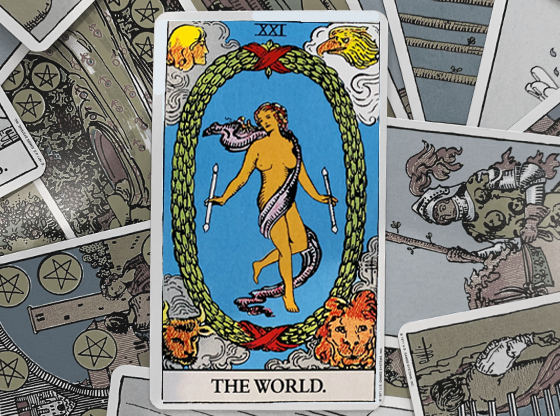 While the card will tempt someone to drop out of school when it is in the present position, here it will cause a greed that one can only satisfy if one is to stay in school in order to get a higher paying job. 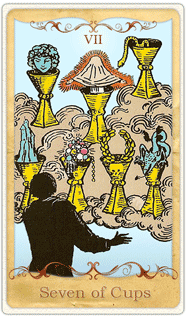 The Seven of Cups tempts you from so far off that the illusions it provides you actually may build your character. 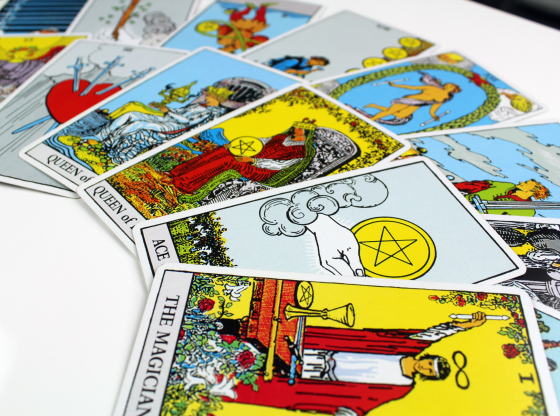 Your Tarot reading includes many cards, and they all have an influence on each other. The shift in meaning can be subtle, and it can be intense, depending on the combination. 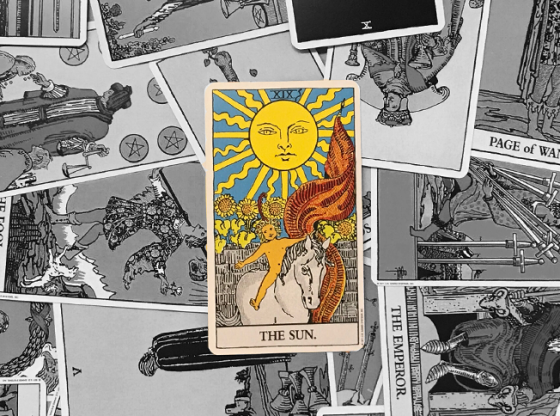 The Seven of Cups is the lower echo of two cards in the Major Arcana: The Chariot (card #7) and The Star (card #17). 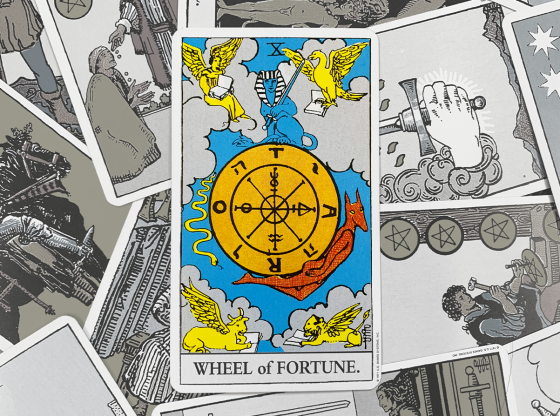 The Chariot represents the victory of manifesting something that has long been desired. The Star represents the inspiration to pursue a particular course in life. If either of these cards appears in a reading with the Seven of Cups, the desire and inspiration are intensified while the negativity associated with pleasure-seeking is lessened. The Magician is a card associated with illusions and if it appears in a reading with the Seven of Cups, you might be the person who is tempting others by manipulating their desires. With the Three of Swords present, your pursuit of illusion is in response to a broken heart, no matter how firm your denials. 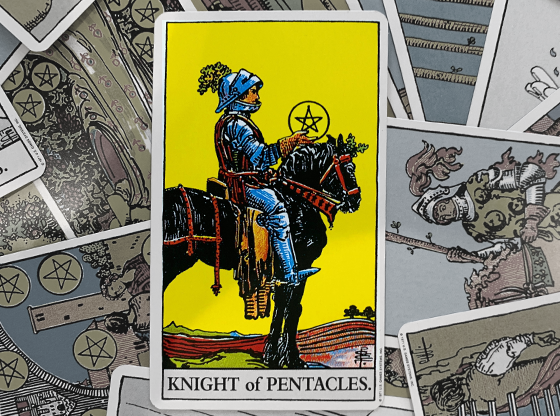 When paired with the Nine of Pentacles, your attempt to keep up with the Joneses has a self-destructive side as you go into further debt to keep up appearances. When the Seven of Cups is in the same reading as The Sun, someone else is paying the bills and you are taking full advantage of having a second childhood with few foreseeable consequences.